Governments can share NAFTA information internally, with government officials; and also externally, with the stakeholders they consult on the negotiations. WASHINGTON -- Canada, the United States, and Mexico have signed a confidentiality agreement designed to prevent leaks during the NAFTA negotiations, with a list of rules to protect details of the offers they submit to each other. The deal bars the governments from distributing texts, emails, proposals and presentations gathered from the other parties, with a series of guidelines about how the materials should be handled. Governments can share the information internally, with government officials; and also externally, with the stakeholders they consult on the negotiations. Otherwise, the materials are to be stamped, "Confidential," and, when not being used, are to be protected in secure locations like locked file cabinets. The agreement expires four years after negotiations conclude. "The policy underlying this approach is to maintain the confidentiality of documents, while at the same time allowing the negotiating parties to develop their negotiating positions, communicate internally and with each other and engage with their public as they consider appropriate in developing and communicating their own positions," said the document. Countries are allowed to share their own documents with whomever they like; the agreement simply forbids them from leaking other countries' materials. The agreement was posted online this week by the United States Trade Representative, after being signed last month by the three countries' lead negotiators. Such non-disclosure agreements are being called standard in trade negotiations. This one shares wording similar to the one for the now-stalled Trans-Pacific Partnership. One trade veteran says this agreement seems reasonable. Peter Clark says it appears to leave room for consultation with the industry and labour groups involved in the process, which he says would be a welcome development. "These rules should permit prompt and effective stakeholder consultations," said the Ottawa trade consultant. "Stakeholders complained to (Canada's) parliamentary committee on the poor quality of consultations in (the Trans-Pacific Partnership). The secrecy was absurd. 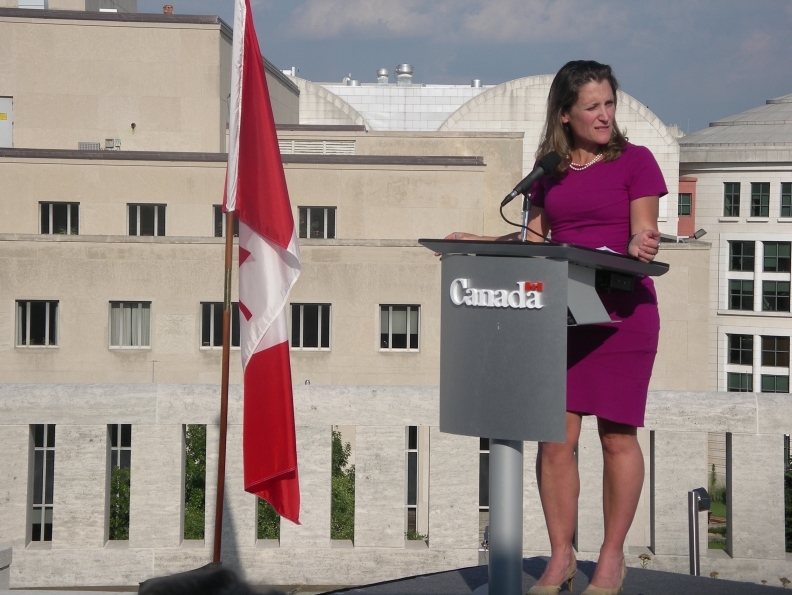 It is good to see that the NAFTA parties are prepared to ensure they have complete and current information on the implications of the negotiations."